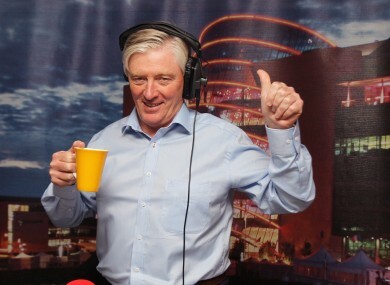 Pat Kenny, one of Newstalk's broadcasters. THE BROADCASTING AUTHORITY of Ireland (BAI) is looking for expressions of interest for two commercial radio station licences. The services are described as “a quasi-national speech/news service” and “a music-driven alternative rock service for Dublin City and County”. The former is currently held by News 106 Limited, broadcasting as Newstalk. This contract is scheduled to expire on 24 September 2016. Dublin Rock Radio Limited, broadcasting as TXFM (formerly Phantom FM), currently holds the rock music station contract, which is scheduled to expire on 26 October 2016. Both are likely to re-apply and retain their licences. The BAI said it can’t comment on the process. The organisation has produced a guide and application form for those interested in applying. In a statement, the organisation noted that the ‘expressions of interest’ phase is not part of the application process for a commercial radio service, nor is it regarded as an application for the sound broadcasting contract in question. The closing date for receipt of expressions of interest is Tuesday, 1 December 2015. All applications received will be made available publicly, following consideration by the BAI. Email “The radio licences held by Newstalk and TXFM will be up for grabs next year”. Feedback on “The radio licences held by Newstalk and TXFM will be up for grabs next year”.